Tonight we went to our Thanksgiving Eve service at church. I sat by Grandpa, which can be a little distracting. First of all, he really likes my boots. He was leaning down and inspecting the inside of them for a while before he said, "those are really nice boots. I could use a pair of those." Okay. I guess I'm getting him Uggs for Christmas. Then he sat back and got comfortable and unbuttoned his belt. "Remind me to buckle up before communion." he whispered loudly, "Hmm, where are the offering plates? Isn't there collection today? I guess this is a free one." He really would have forgotten about the belt. Good thing I was there. So anyways, I discovered a beautiful new centerpiece today while I was washing up my fruits for my cranberry relish. Aint that just the purtiest? We eat tooooons of cranberry relish every year at thanksgiving. 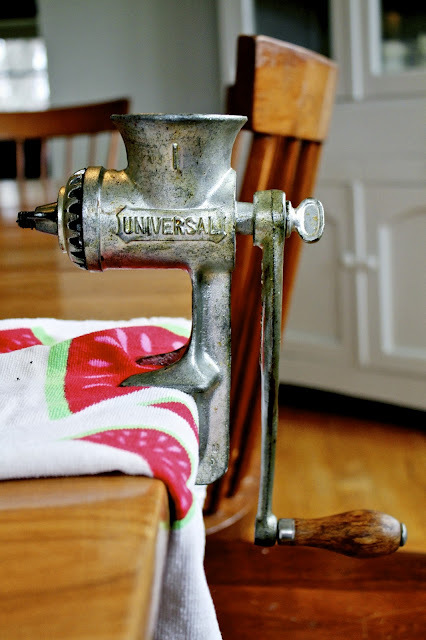 This antique meat grinder is the secret to success. Don't worry. I didn't just use it on the suicidal deer or anything. Really. I only use it for cranberries. See how simple this is? Just don't forget to put something underneath to collect all that beautemous juice. And don't forget the sugar (as if you and I ever stop thinking about sugar for more than two and a half milliseconds). Maybe this is an acquired taste, what with the orange rinds and super tart cranberries and all, but I've grown up with it and I could literally eat it for every meal. Which I might have done today. Besides, even my three-year-old sister, Cookie, likes it, so you can at least give it a chance. I literally made a gallon of this today. I halved it here for you. Slice the apples and oranges, only removing the apple core. Do not remove the skin of the apples or the oranges. 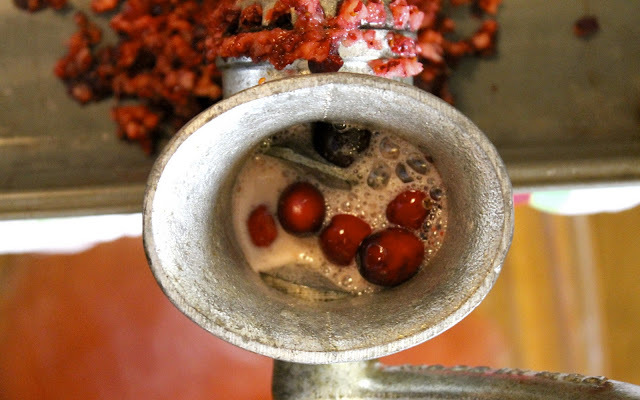 Grind all of the fruits in a meat grinder, catching the juice below. Mix the juice back in and add the sugar. Mix well. Can be done in the food processor. If it's not sweet enough for you, feel free to add as much sugar as you want. 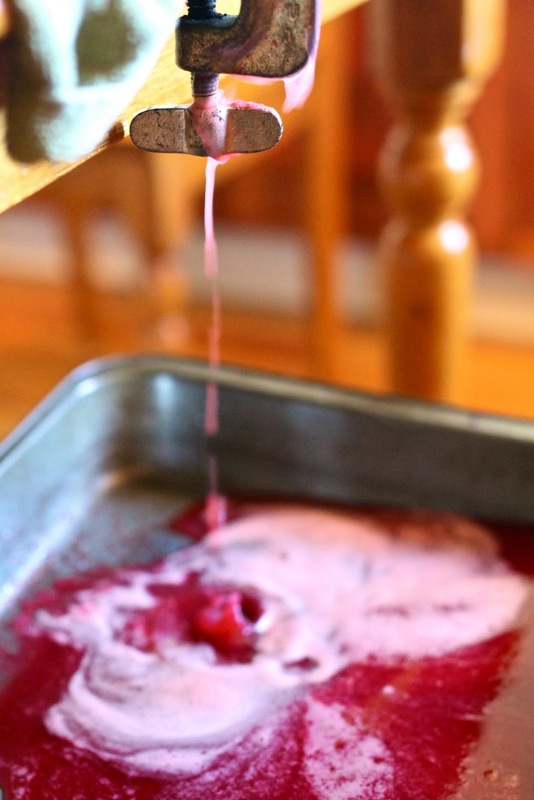 Keep in mind that it will taste a little sweeter after you've let the sugar completely dissolve for a couple hours. Add as many walnuts as you can muster. Stir them in just before serving.